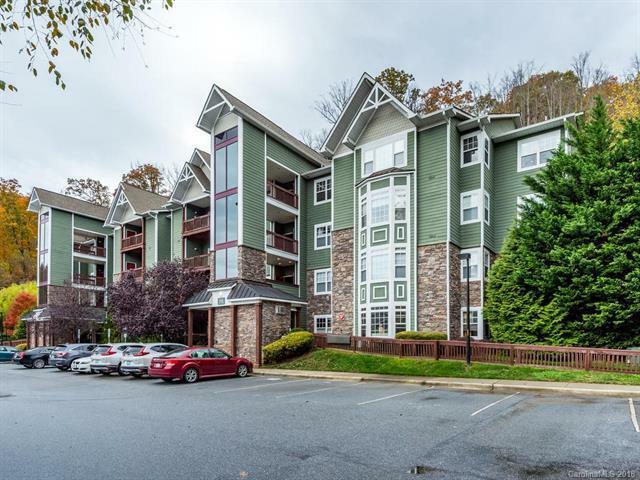 Private condo in super convenient location, close to downtown Asheville and Blue Ridge Parkway. Building has an elevator. Inviting great room has a cozy fireplace. Enjoy the open floor plan with split bedrooms. Kitchen has granite counters, stainless steel appliances and breakfast bar. Covered balcony faces the southeast and has mountain views. Sold by George Morosani & Associates.